Recently in Wardha and Yavatmal (Vidarbha, Maharashtra) Moreshwar Chaudhary was 32; Suraj Bhoyar, 29. On a wintry December 8, last, the two cotton growers consumed Monocrotophous, a commonly used pesticide, distraught by failed crops, falling income and mounting loans. Moreshwar was uneducated and married; he left a year-old a son and wife in the middle of her second pregnancy. Suraj had a vocational diploma and was a bachelor. They had never met each other. But their short lives ran parallel and ended on the same note. They died within a span of few hours. 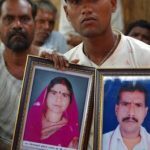 In a dingy mortuary of government hospital in Ghatanji town of Yavatmal district, that day, Suraj’s body was being taken in for post-mortem while Moreshwar’s was moved out. It became an unlikely meeting place for the two families joined in grief that stemmed from a common thread: cotton. Rains came after the crops had failed. And when the abysmal yields began to flock the markets around November, prices had tanked. 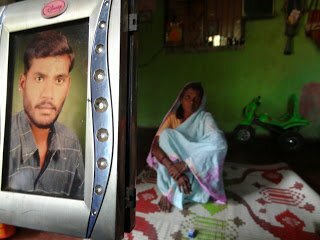 “This year,” Suraj’s elder brother Swapnil says, “There is no crop, no price.” Vidarbha, a region in Maharashtra notorious for farm suicides, has seen such coincidences before. Except this time they are glaring. As it turns out, the months since their suicides have seen more farmers take their lives in the region. The neighbouring Marathwada, which faces water stress, is also reporting a spurt in farmer suicides. Put together, roughly 400 farmers, mostly young, have taken their lives in past three months in these two regions. And suicides are just one symptom of a deepening crisis. Reports of distress sales of land and cattle have begun. So have migrations of people, who need work. “This is a negative farm growth year,” says Kishor Tiwari of the Vidarbha Jan-Andolan Samiti (VJAS), a fact borne out by the Maharashtra Economic Survey 2014-15 published on March 17. It says state’s agriculture growth rate was in the negative owing to bad monsoon and failed crops. Barring sugaracane, all other crops have suffered a steep decline in yields ranging from 20-60 per cent. “Vidarbha and Marathwada are like volcanoes,” he says. 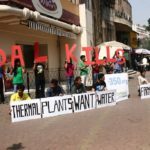 “That’s because the entire rural economy is belted.” By an official estimate, about 24,000 or over half of Maharashtra’s villages are facing drought-like conditions, a metaphor for drop in crop yields (indicated by a gauge called anewari) by over 50 per cent. That means roughly 10 million rural households – or two-thirds of the state’s peasantry is in trouble. Most of these are scattered all over the state, but worst affected ones are in Vidarbha and Marathwada. It’s a deadly cocktail: erratic monsoon, crop failure, falling prices, growing indebtedness. As if this was not enough, a spell of hailstorm that accompanied incessant rains last week irreparably destroyed Rabi crops such as wheat and gram wherever they had been planted and were about to be harvested. This is the first major test of the BJP governments in the state and Centre. 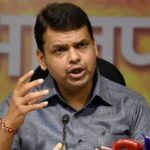 The Fadnavis-government has announced an aid of Rs 2000 crore for drought-hit Maharashtra farmers; the Modi-government matched it with the same amount but details of how the money would be used are still sketchy. 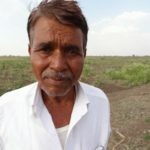 Vijay Jawandhia, farmers’ leader and activist in Wardha, says: “Every year there are climatic aberrations and market volatilities; but the new government hasn’t stepped in to support farmers.” Maharashtra’s aid is paltry, he says. “The Centre hasn’t ensured better prices through market intervention.” India’s domestic cotton consumption has been stagnant despite a jump in cotton acreage to a record 130 lakh hectares in 2014-15. That coincided with sluggish international prices and global demand. At the beginning of current cotton cycle in June-2014, the International Cotton Advisory Committee (ICAC), a global think tank, said that with 1.8 million tons of surplus cotton and changes in China’s cotton policy, prices were unlikely to rise to the historic 2012-13 levels. That year a quintal of cotton fetched about Rs 6000 in local markets – perhaps the highest price in a decade or so. In 2013-14 Moreshwar and Suraj fetched Rs 5000 or more per quintal of cotton and the yields were better (4 quintals per acre). This time the prices are hovering around Rs 3900-4000 and yields are two quintals an acre at best. So for the cotton growers of the region it came like a staggering pay cut. China curbed its imports this year as it gave a greater incentive to its growers to improve yield and quality, as a result of which Xinjiang, the largest cotton-producing region in that country where the trial subsidy is being implemented, yielded a bigger harvest than last season, an ICAC release said last month. While China imported much of India’s cotton last three seasons, it did not in the 2014-2015 season. In domestic markets, it meant a glut despite fall in cotton yields in states like Maharashtra. 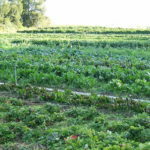 For, overall acreage and production has gone up. This should have prompted the government of India to intervene in the markets by proactively asking the Cotton Corporation of India (CCI) to step up its procurement in different parts of the country like it does every year so that the prices did not fall below the minimum support price threshold, Jawandhia explains. But the CCI has been reluctant to procure cotton given the poor demand and lack of counter-guarantee from the Centre to bear the burden if it incurred losses. For sugar, Modi government announced an export subsidy of Rs 4000 per tonne last month to tide over the industry losses; but refused to support cotton farmers the same way, Jawandhia points out. 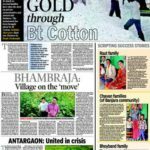 Even Maharashtra’s cotton marketing federation, an agency that once ran the monopoly procurement programme for cotton from 1970s until the 2002 season, did not procure much, leaving the farmers at the mercy of private traders, who won’t offer higher price since neither cotton exports would pick up, nor the domestic demand. So the falling yields and prices came as a double whammy for the farmers, already beleaguered by a long depressing negative growth in agriculture and sagging incomes. It was around 2 pm that day Suraj called his elder brother, Swapnil, 33, on his cell phone. It was to be their last conversation. “He told me to take care of our parents and then hung up,” Swapnil recalls at his village Anji. Suraj had minutes earlier left for home from Ghatanji cotton yard, distraught by the fact that their abysmal yields coupled with poor prices would not help them repay this year’s loans. Swapnil was still at the market when the call came. “Though I am older, Suraj looked after the farm as he was better educated,” he says. When he cut the call and could not be reached, Swapnil left his cotton-laden cart at the market and rushed home on a friend’s bike. Anji is five km from the town. Suraj, his mother told him, had left for the farm after touching her feet; he did not have his lunch. Moreshwar got married three years ago. He had a year-old son, Kanhaiyya. His young widow, Yogita, is in the eighth month of her second pregnancy. Putting up a brave-face, she says holding Kanhaiyya close to her: “He just deserted us.” Every time he gets up from his sleep the toddler searches for his father, Yogita says. Then his grandmother shows him Moreshwar’s framed photograph. As the young-one smiles looking at the picture, the grandma cries. Shame and and disgrace to our rulers the poltical malevolent of every hue who are parasites on very on very those to who they owe their existence . This is the price of captive capitalism which feeds our political system planted by successors to East India Company . Unless the roots of money market democracy are removed there can be no relief. All great changes were made by revbolutions and purges not so yet in India . We have gone deeper into morasse of deception by those who are prospring with it and yet draw cheers . First actioin is to change the electoral system ban party funding and introduce State funding for elections . Ban privatisation of AGRICULTURE SUPPORT . Amend constitution to introduce State liability for for protection of livelihood of farmers , industrial and agriuculture workers and students .